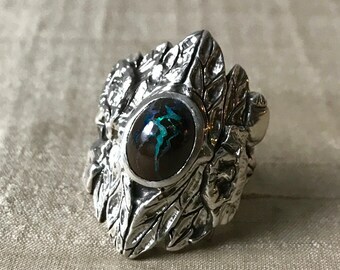 Announcement *IMPORTANT* I’m unable to size any rings, bracelets or necklaces until May 13th. Other than that, everything in my shop is available and ready to ship. 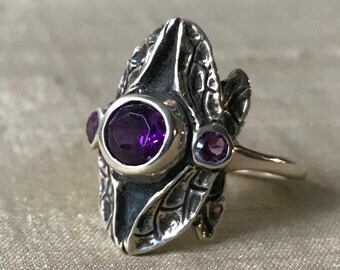 I create lyrical, hand-carved jewelry using the lost wax method of casting. 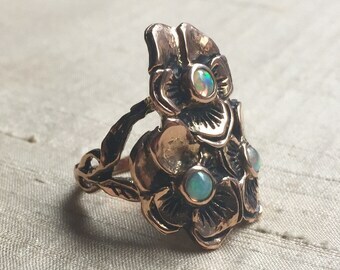 *IMPORTANT* I’m unable to size any rings, bracelets or necklaces until May 13th. Other than that, everything in my shop is available and ready to ship. So beautiful! One of the best purchases I have made ever! Absolutely beautiful! Fits perfectly. Awesome and helpful seller! Thank you! Finished today and now back in my shop. 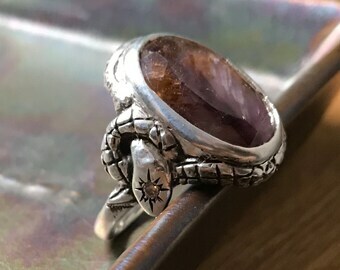 The Twin Flame Ring with garnet, amethyst and moonstone, and the Star Snake Talisman Ring with sacred 7 crystal/ super 7 melody stone and champagne diamonds. Lightning strikes: maybe once, maybe twice. ️Finished today! 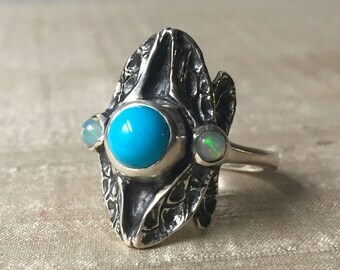 The Dragonfly Poppy Ring with the most glorious Australian boulder opal that looks to be illuminated from within by its own blue-green lightning storm. There’s still one day left to take 40% off everything in my shop and many joys to be had! 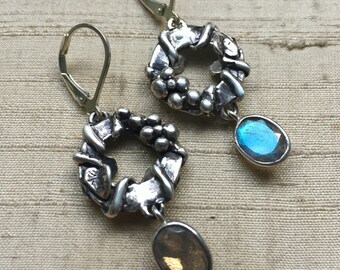 New pieces were added this morning. 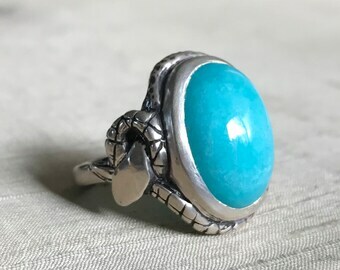 I first studied jewelry design, formally, in high school and from there went on to Parsons School of Design, for fashion and F.I.T., for jewelry. I discovered that when you need teachers the most they magically appear. I've been extremely blessed to have so many extraordinary teachers both formally and informally. I've been asked many times why I named my line "Lura", when my name is Megan. I named my jewelry after my grandmother, Lura Mozelle. She was one of the chicest, and wisest women I have ever had the privilege of knowing. She was proof that style has little to do with our backgrounds, or whatever material advantages we may have, and more to do with elegance of mind, and how we carry ourselves. 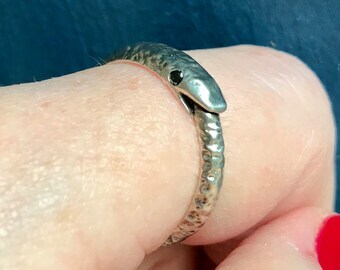 If you would like to be added to my email list, please send me a message at lurajewelrylist [!at] gmail.com with the subject line "Subscribe". I don't send out emails terribly often, only when something exciting is in the works. Please be assured that I will not sell, lend or do anything bizarre with your information: I will guard it with my life! I love to take seemingly delicate motifs such as vines, smoke or dragonflies and give them substance in metal. 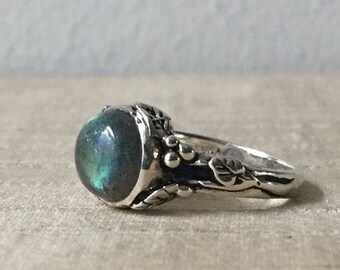 I strive to make jewelry that has a "magical" quality to it, too; we need more enchantment in our daily lives. An excellent NYC based metal casting house. An excellent NYC based metal casting company that casts in sterling and gold. Hello, and Welcome to Lura Jewelry! Here you will find all the details. 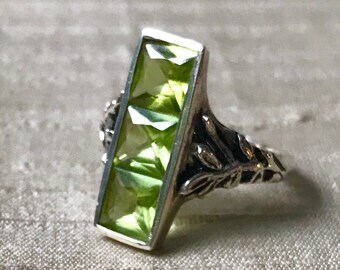 If you would like to be added to my mailing list, please email your full name to me at LuraJewelryList [!at] gmail.com with the subject "Subscribe". I will not lend, sell or do anything bizarre with your information: I will guard it with my life. If you are unhappy with your purchase, for any reason, please return it to me within 7 days of delivery. 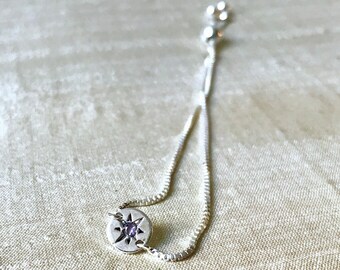 Should you wish to make a return, please contact me first so that I may give you the address to which you will send the package. 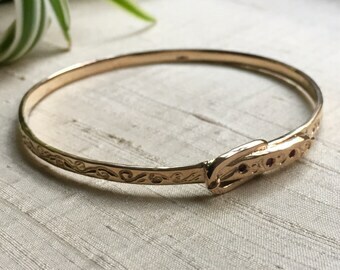 The jewelry must be shipped back to me in either a padded envelope or box, via a method that includes insurance and a tracking number, or the buyer is responsible for the cost of damage or theft in transit. The buyer is responsible for the cost of shipping. All jewelry that is returned must be unworn and in salable condition. RETURN AND EXCHANGE EXCEPTIONS: I will not accept returns or exchanges on "Made to Order", custom/ commissioned pieces, items that have been purchased on layaway, or any items that have been sized. PAYPAL: I expect payment within 2 days of the purchase. After that I will, regrettably, need to cancel the order. 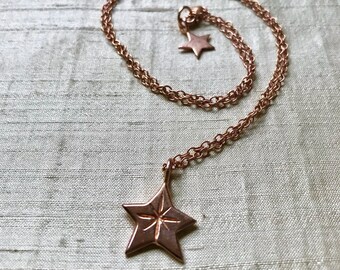 Please know that on Etsy you don't need to have a Paypal account in order to use it: it allows you to pay with a credit card just as you would at any other site. Please feel free to contact me with any questions. LAYAWAY: I am happy to offer layaway on one piece of jewelry per customer at a time. I ask for 30% of the total purchase price as a down payment, and then you will have up to 3 months from the date of purchase to pay the remaining amount. Items purchased on layaway are final sales. In the event the piece is not paid in full at the three month mark, I will refund the balance back to you, minus a re-stocking fee of 15% of the total purchase price. Please contact me for all the details, and any questions you may have. I am extremely convo friendly. For US addresses, I ship via USPS. If you wish to upgrade to Express shipping, or FedEx, please contact me for a price quote. Everything is sent insured, and purchases over $100 will require a signature at the time of delivery. INTERNATIONAL SHIPPING: I will, happily, ship internationally. Please note that all customs forms will be marked "Merchandise" with the correct price listed. The receiver will be responsible for all taxes and/or fees. If shipping turns out to be less than I have charged you, I will ALWAYS reimburse the difference! Please don't ask me to mark "gift" , or list a value less than the item's purchase price, on the customs form. This puts me in a really uncomfortable, and illegal, position. *Some of my European buyers have gotten back to me with troubling stories of being charged astronomically high fees on their purchases. *PLEASE* check the fee you will be charged by your country before purchasing an item from me! 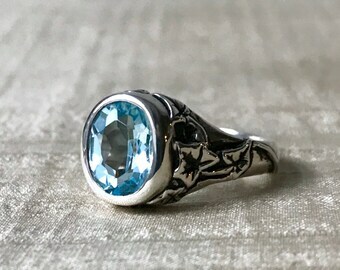 Buying jewelry should be a pleasure, and I don't want anyone to have an awful surprise waiting for them in regards to taxes and fees. MEXICO: I'm delighted to ship to Mexico! Purchases that are more than $100 will be sent via FedEx International, thus the increased cost of shipping. SPAIN: Orders $100 or more will be sent via USPS Priority Mail, or can be upgraded to FedEx. If you'd like the latter please contact me for pricing. **Items returned to me as undeliverable-as-addressed, or unclaimed: effective August 28, 2016, if an item, or items, are returned to me as "undeliverable-as-addressed"or unclaimed, I will issue a refund back to the buyer minus the cost of shipping. Should there be any return shipping fees, I will deduct those from the buyer's refund as well. Please make sure that you enter the correct shipping address when checking out. 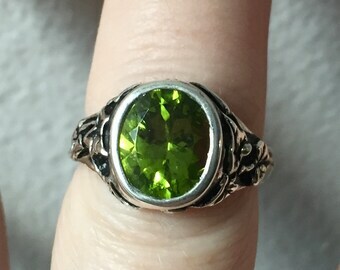 For rings that need to be sized, I ask for up to 2 weeks from the purchase date before they will be shipped. All the silver I use is nickel free. 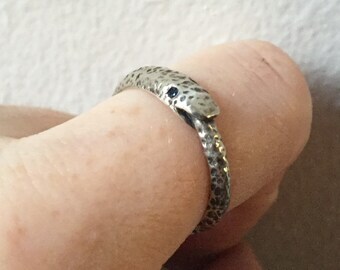 RING SIZING: there is no charge for the first time a ring is sized. Any subsequent sizings will be for a fee and the customer will responsible for the cost of shipping their ring to and from me. 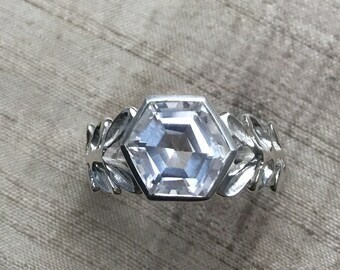 All the diamonds used in my pieces come from legitimate sources not involved in funding conflict and in compliance with United Nations resolutions. I aim to represent my jewelry as accurately as possible. Measurements are given in the description and I photograph all pieces with either a coin, human model or dress form to give a sense of scale. When photographing my work I use full spectrum lights, or natural light, to represent the colors as realistically as possible. That said, colors will vary from computer to computer: my purple may not be your purple. Should you have any questions, please do not hesitate to contact me: I am extremely convo friendly! 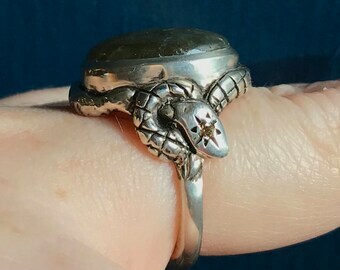 With proper care, any jewelry purchased from me should last for decades, if not generations. *Please limit your jewelry's exposure to water, chemicals. abrasive surfaces. If you live in a very humid environment, I highly recommend storing your pieces in anti-tarnish bags when not being worn. 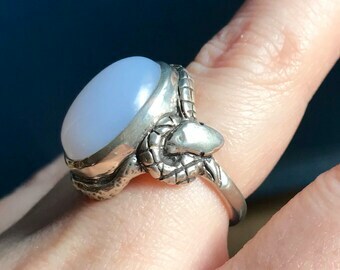 *I'm honored when buyers tell me that they never take a piece off, but constant wear just isn't good for jewelry. Exposure to bathing products, water, even the changing PH of our skin can all adversely affect jewelry's appearance. *This is especially true for plated pieces: please be mindful of what they are exposed to. I use micron plating, which should last for years with proper care, but constant wear, and exposure to everything mentioned above will hasten the wearing away of the plating. I will not be held responsible should that occur. I will reserve one piece per customer for up to a week. 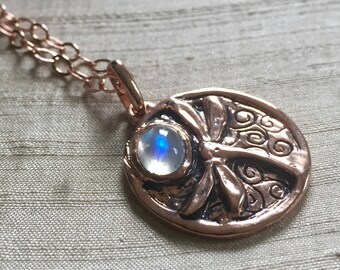 NOTE TO RE-SELLERS: If you wish to sell my work in your on-line shop I just ask that "Lura Jewelry" be used somewhere in the piece's description. Thank you.